From politics to power brokers, WAKE Washington offers students a taste of life under the dome. 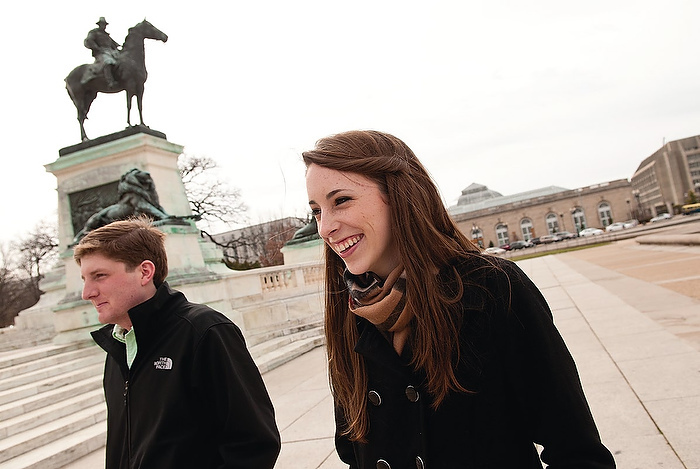 WAKE Washington introduces students to the landmarks, monuments, politics and players that make the capital city hum. It’s tough keeping up with anyone in Wake Forest’s prestigious semester-in-D.C. program — particularly Aubrey Vaughan and her fast-paced footsteps. This spring, the junior political science major is in the midst of the juggling act otherwise known as WAKE Washington. 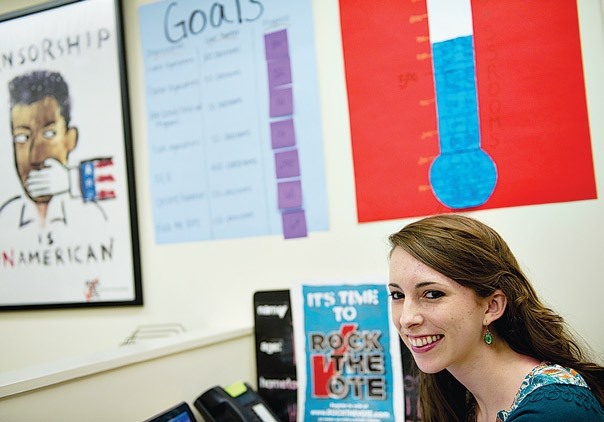 Vaughan, from rural Versailles, (pronounced Ver-sales) Ky., spends most of her days working at a full-time internship where she creates civics education materials and does media outreach for nonprofit Rock the Vote. The rest of the time she’s thinking on her feet in criminal law class, listening to war stories from a panel of veteran campaign managers or touring the White House. And that’s just Mondays. The WAKE Washington program, now in its fifth year, offers motivated undergraduates the chance to live in the nation’s capital and work full-time at the competitive internship of their choice while completing a course through the University’s affiliate organization in the city, The Washington Center. On top of that, students must conduct an independent study and write a major paper with the guidance of a Wake Forest professor. The rigorous program offers students across every major a real-world taste of government, politics, think tanks and nonprofits, and a chance to hobnob with high-profile powerbrokers. WAKE Washington students “see this big world that’s right in Washington, D.C.,” said Associate Dean of the College Paul N. Orser (’69, P ’01), who directs the program. For years, members of the Board of Visitors, trustees and some Washington alumni had been contemplating how best to forge a Wake Forest-Washington connection. In 2006, the University began formally exploring ways to establish an institutional presence in D.C., a city that had long attracted growing numbers of young graduates. So Kuhn, director of external relations for the Business-Higher Education Forum, spearheaded an in-depth investigation of programs run by other universities in the city. Through that research, The Washington Center emerged as the ideal partner to help launch WAKE Washington. The respected nonprofit has helped connect college students with outstanding internships for more than three decades, and every semester it offers dozens of challenging courses taught by top-tier instructors. Unlike Wake Forest study abroad programs such as Casa Artom in Venice, where students live with one another as well as a professor, the WAKE Washington student lifestyle is more independent. Participants room with students from schools around the country and the globe. Many live in the Center’s new, 95-unit Residential and Academic Facility, where students attend Washington Center classes in the basement, which also houses a lounge, computer lab and fitness center. Others might live in properties managed by the Center in nearby Arlington, Va., or Bethesda, Md. ; everybody commutes by Metro. Many students report that their internships, courses, Washington Center activities and independent study research keep them so busy they hardly encounter other WAKE Washington students. “It’s quite a change of pace from the Wake Forest bubble,” Andy Bunker says. The Center works with more than 500 colleges and universities across the country, provides intensive advising, and organizes a full slate of enrichment opportunities for participants including meeting face-to-face with a member of Congress, hearing from panels of distinguished speakers and engaging in community service. Students select a concentration, such as International Affairs, Media and Communication or Advocacy, Service and Arts, and choose their internship. WAKE Washington alumni have interned with the Federal Trade Commission, INTERPOL, the NAACP, the Peace Corps, the Republican National Committee and Voice of America, among other organizations. “For students interested in being a good citizen, becoming a contributor to society … this city embraces, embodies that spirit of good citizenship,” said The Washington Center President Michael B. Smith. Vaughan, 20, felt that pull early. She’s been in love with D.C. since she saw the Washington Monument for the first time — when she was three. From the beginning, she says, she was a wonk: “I grew up watching the news instead of watching cartoons.” She bounced straight from a semester in Paris to rooming with three young women from China, Iowa, and New Jersey at The Washington Center’s sparkling new residential-academic facility in northeast D.C. Living in the nation’s capital fulfilled a long-held dream. Every morning Vaughan walks four blocks or so to the Metro; this semester, she is grateful to be navigating the subway in English rather than French. In five stops she’s at Rock the Vote’s office. Most mornings she grabs a Venti iced green tea and banana nut bread from the building’s Starbucks, fuel for scanning websites for political news (she was assigned to the entertainment beat, including Perez- Hilton.com) and blogging about youth civic engagement. Vaughan and a fellow intern might find lunch from one of D.C.’s fleet of gourmet food trucks in nearby Farragut Square. Most Monday afternoons, Vaughan rushes to a Pentagon tour or other event organized by The Washington Center. By 6 p.m., it’s time for criminal law class, taught by Melvin Hardy, an Internal Revenue Service attorney. Hardy conducts his course like a law school professor, peppering Vaughan and her 10 classmates with Socratic questions on the finer points of the Fourth Amendment. The Studio Art minor is soaking up every minute. She might be dashing to the National Portrait Gallery courtyard to cram in LSAT preparations, or research the paper on youth voting she is writing for Associate Professor of Political Science John Dinan, or filling up on the famous hot dogs from Ben’s Chili Bowl. There’s something new to discover at all hours: she and a group of Washington Center friends found themselves walking the National Mall after midnight one warm Friday night, strolling miles from the Capitol past the Lincoln Memorial and moonlit war monuments, finally collapsing into a taxi at 2 a.m. Next project: getting a card for the Library of Congress. “It’s cool to feel like I’m actually part of the city,” Vaughan said. But WAKE Washington isn’t exactly a relaxing break from campus life. Rather, Orser requires applicants to the elite program to write two essays and interviews them; participants’ average GPA is 3.7. That makes sense, as WAKE Washington students must have time management down to a science to balance a full-time job, a three-credit course, a directed study, plus the professional portfolio and constant events required by The Washington Center. The intensive combination of challenging academics and meaningful professional experience in a metropolis offers students something they can’t find on campus. “I’ve always loved D.C.,” says Vaughan. 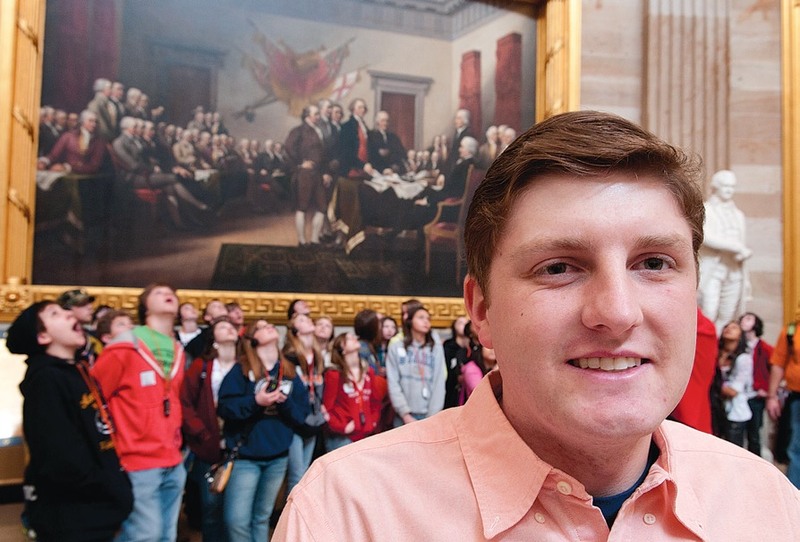 • During WAKE Washington’s inaugural semester in spring 2007, Ryan Taggett (’09) had a front-row seat to the Democrats’ midterm sweep while working in Florida Rep. Debbie Wasserman Schultz’s office. “As much as I loved Wake — and I really did love Wake — the semester in D.C. was probably the best of my entire undergraduate experience,” said Taggett, now a second-year law student at the University of Virginia. He attributes his time on the Hill with helping steer him toward law school. “What our alumni tell us, survey after survey: ‘This experience transformed me,’” Washington Center President Smith said. “Every weekend my friends and I, we always try to go to at least one museum and one monument and explore until my feet hurt,” says Vaughan. The University’s enhanced connection to Washington has proved a boon to faculty scholarship as well. The Upton Foundation, which has lent crucial financial support to the WAKE Washington program, also provided Wake Forest political science department Professor and Chair Katy Harriger the opportunity to dissect Supreme Court desegregation decisions through researching justices’ papers at the Library of Congress. Harriger approves coursework undertaken by political science majors during their time in D.C.; so far, she’s been impressed by the quality of students’ academic work. “In terms of getting some experience and building some credentials in the Washington environment, I don’t think the program can be beat,” Harriger said. And Vaughan is a testament to getting the most out of every moment. She still has a few items to check off her must-do list: see every room in every art museum. Try a fancy cupcake from every bakery she can find. Get off the metro at a random stop to discover a restaurant she can call her own. Susannah Rosenblatt (’03) is a former journalist with the Los Angeles Times, a Michelin travel guide co-author and works as a Senior Project Director with KSA-Plus Communications in Arlington, Va., specializing in education communications. For more information on WAKE Washington and to read Aubrey’s blog, go to this website. This spring Wake Forest School of Law launched a new initiative in Washington, D.C. The Metropolitan Externship provides third-year students with the opportunity to spend a semester in practice in a diverse legal environment under the supervision of experienced attorneys. Students spend approximately 35 hours per week interning in a government agency or non-governmental organization. Placements include Executive Branch offices such as the Departments of Justice or State, or independent agencies such as the Federal Communications Commission, Federal Trade Commission, or Federal Elections Commission. Non-governmental groups include advocacy groups, human rights organizations and trade associations. International organizations, such as the IMF or World Bank, are also included in the program. In addition to the practice component, students attend a weekly class taught by Adjunct Professor David J. Gottlieb, who also organizes the project, and they complete journals. See more information on the law externship. 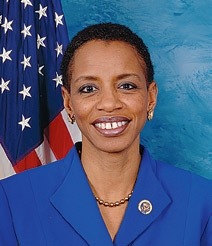 Rep. Donna Edwards (’80), D-Md. Rep. Donna Edwards’ devotion to public service blossomed toward the end of her freshman year, alongside her hallmates from the Bostwick A-side basement. Edwards and friends volunteered with Big Brothers Big Sisters, bringing young women to campus to experience college life, occasionally accompanying them to class. “It really was that experience that told me all along I wanted to do something that was related to public service, to building community, strengthening communities,” said Edwards, the first African-American woman to represent Maryland in Congress. She still maintains friendships with the freshman women she oversaw as a resident adviser. Edwards considers a semester in Salamanca, Spain, a pivotal moment that helped awaken a more global perspective. Edwards considers her undergraduate years a touchstone in her personal and professional life, which included co-founding and heading the National Network to End Domestic Violence, before she began representing Maryland’s 4th Congressional District, near Washington, D.C. In her second full term after her initial victory in a 2008 special election, Edwards is focused on helping create what she terms “21st century” jobs. Regardless of major or career aspirations, every student can benefit from experience in D.C., Edwards said. 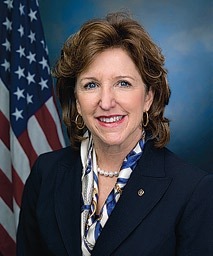 Sen. Kay Hagan (JD ’78), D-N.C.
Sen. Kay Hagan (JD ’78), D- N.C.
First-term N.C. Sen. Kay Hagan couldn’t have avoided a life in politics if she’d wanted to. Her uncle was Lawton Chiles, a Florida governor and U.S. senator. Her father served as mayor of Lakeland, Fla. As a state senator in North Carolina, and now U.S. senator, Hagan has kept the family business going. The summer after graduating from Florida State University before beginning law school at Wake Forest, Hagan interned in Chiles’ Capitol Hill office. There, she said, she put her political science classes to work. She urges students to take advantage of the manifold professional opportunities: “You’re at the seat of power in Washington, D.C. It’s a very vibrant city. There is always so much going on.”Back home, Hagan has worked since 2009 to bring jobs to North Carolina and support small business owners. Her goal is to help kick-start the slumping U.S. economy, what she deems one of the biggest challenges facing the country. It’s the “talented professors” that spring to mind when Hagan recalls the School of Law. Even more memorable than her outstanding legal education, Wake Forest law school is where Hagan met her husband, Chip (JD ’77). They’re still in touch with law school friends, a group she’s traveled to Argentina with and saw recently at the wedding of a friend’s daughter (bride and groom were both Wake Forest grads, too). Rep. Larry Kissell (”73, P ’12), D-N.C.
Rep. Larry Kissell (’73, P ’12), D-N.C.
Rep. Larry Kissell, a native of Biscoe, N.C., in his second term, says his History of the South course with legendary Dr. David Smiley always stuck with him. He drew inspiration from Smiley, as well as other history and politics professors, when he left a decades-long career in the textile industry to teach high school social studies — and represent the state’s 8th Congressional District. Kissell’s progression toward public service, his desire to make a difference, has its roots in his time at Wake Forest, where he majored in economics. The congressman believes a Wake Forest education, coupled with Washington work experience, can open students’ eyes to the workings of government and the value of service. 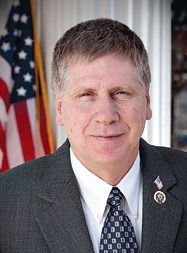 Education is one of Kissell’s policy priorities, along with shoring up American jobs and advocating for textile workers and veterans. A proud Deacon, Kissell has worn a Wake Forest shirt on more than one trip to Afghanistan, sparking conversations with troops. Hanging in his Capitol office is a photo of Randolph Childress (’95) hitting the game-winning jump shot that earned the Deacons an ACC championship victory over Carolina. A true fan, Kissell has faith that the basketball program will rebound. Maybe not before his daughter Jenny, a fellow Deacon and junior biology major, graduates, but soon: “They’ll be back,” Kissell says. 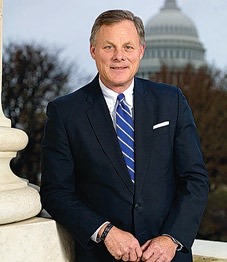 Sen. Richard Burr (’78), R-N.C.
Sen. Richard Burr believes working in Washington is not that different from a Wake Forest liberal arts education: learn a bit of everything so you’re prepared to do anything. Now, the senator is focused on sparking economic growth, creating jobs and tackling the national debt.